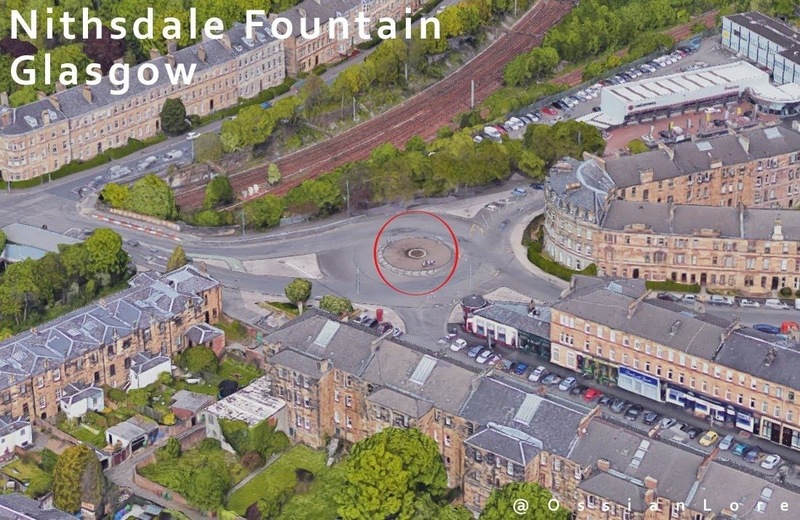 Recently Douglas Robertson posted a query on the Bungoblog – did anyone else remember the Victorian drinking fountain on the Nithsdale Road roundabout, opposite Salisbury Quadrant? “I’m sure it was Victorian, as made of metal and was substantially built. I don’t know the dimensions but would estimate (from memory) that it was approx. 10-12 ft high on a circular base of slightly larger dimensions. 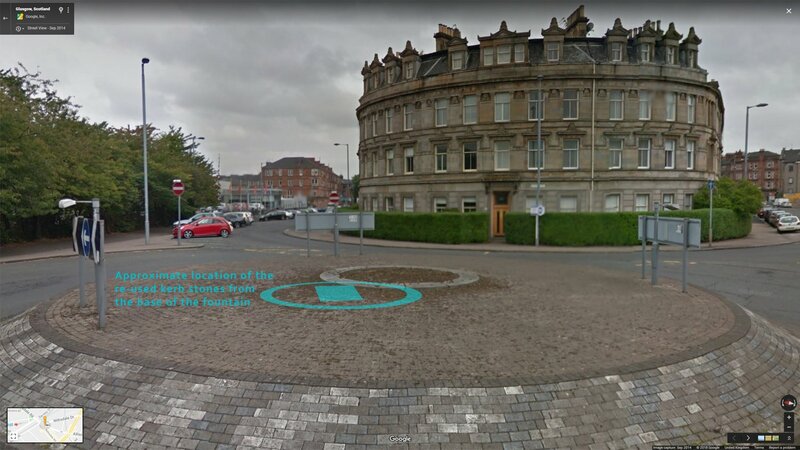 A couple of residents replied, recalling the time the council came and took it away, or destroyed it, when the new roundabout was constructed, probably in the mid 1970s. Then the Strathbungo Society’s chair flagged it up to @OssianLore on Twitter, and the following is a summary of what he discovered. 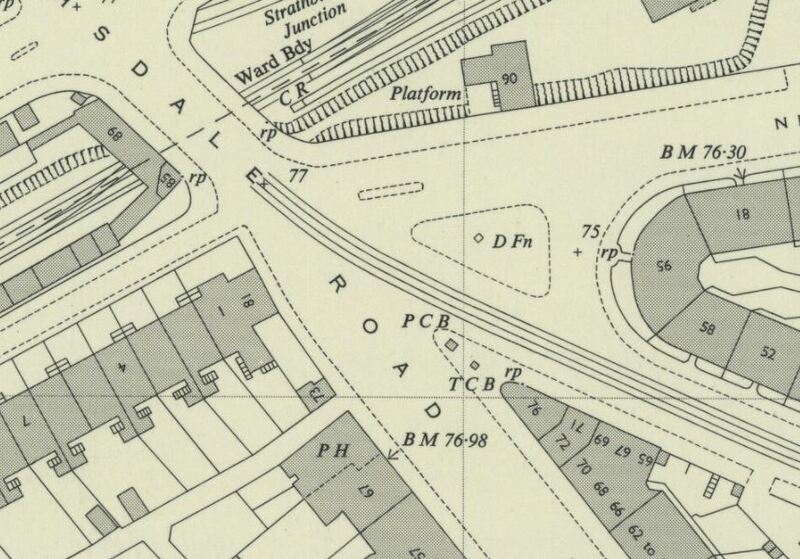 The drinking fountain, with lamp standard, was present on an OS Map of 1893, in the middle of the junction of Nithsdale Road, Street (then Titwood Place) and Drive. 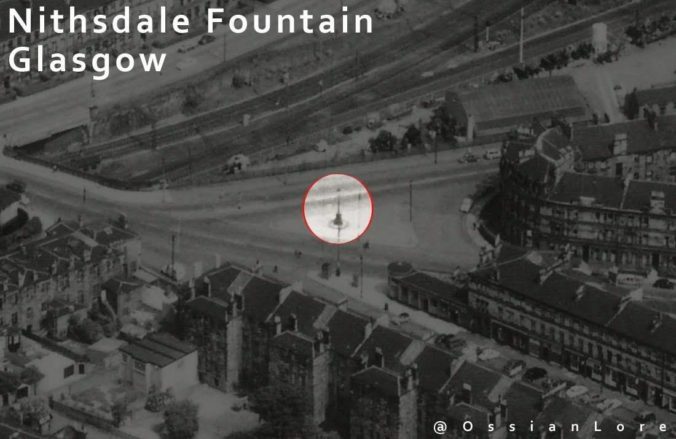 It was still there in 1951, on a traffic island. This is the only known photograph of the fountain, so far. 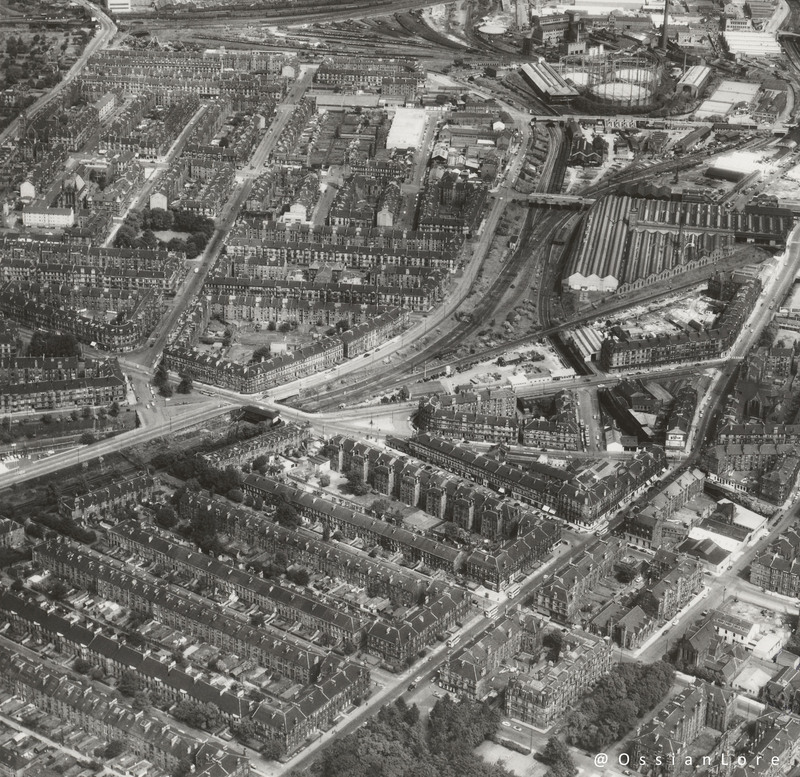 The aerial photo is dated 1958-67. Strathbungo station is already closed, so it must be post 1962. Many were standard designs, and it may have looked something like this, MacFarlane’s pattern 31 from the Saracen foundry. 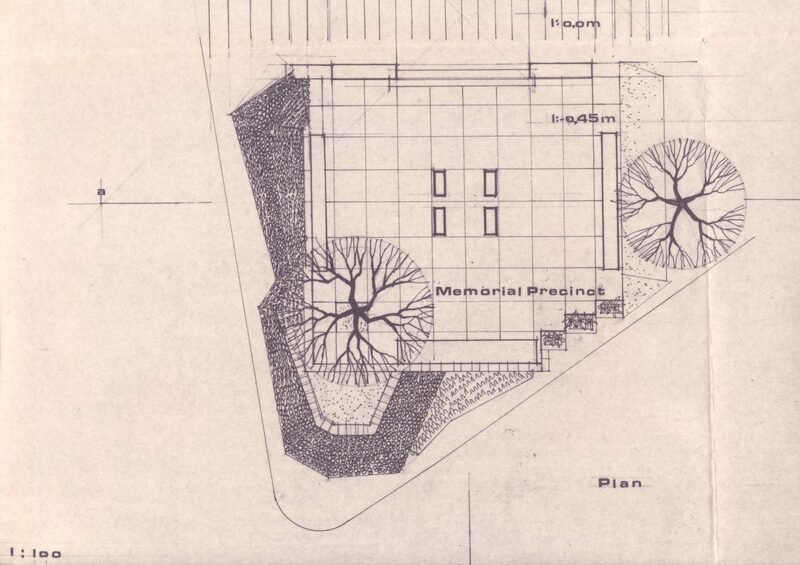 A similar design can be seen in Dowanhill Park, and there is an entire blog devoted to the subject if you wish to learn more. On street view it looks like this. 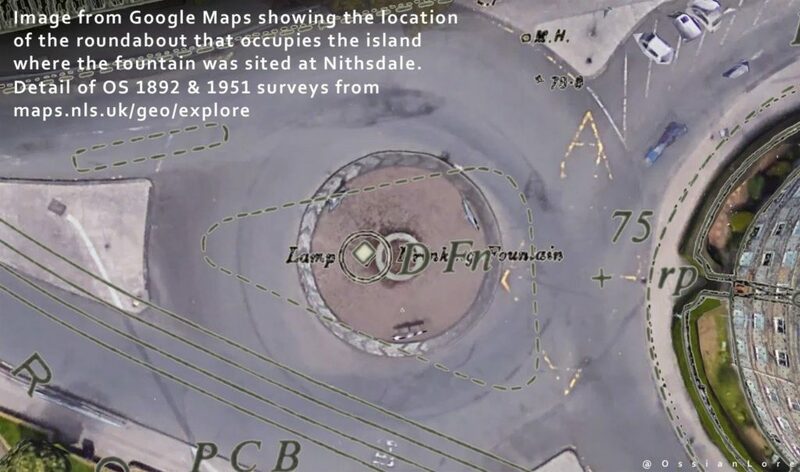 It appears the circle of stones at the base were re used in the creation of the roundabout. There are a couple of photos of the area in the Virtual Mitchell, but the fountain, if still present, is tantalisingly just out of shot. 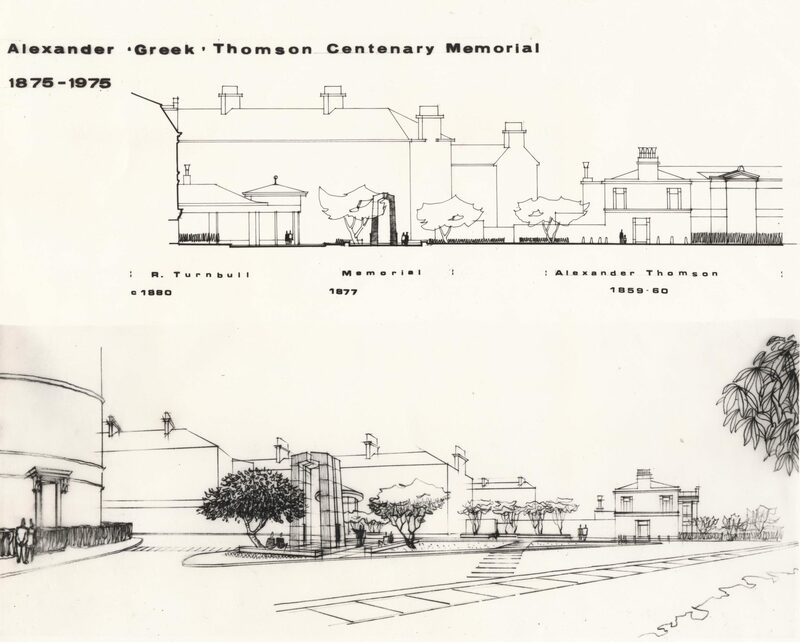 The winner of the competition is not recorded, but planning permission was granted by December 1975. In the summer of 1976 the cost was estimated at £4,000-£5,000 and the project was mothballed due to a lack of funds. It isn’t clear at what time the island was reconfigured to create the roundabout, nor when the fountain disappeared. It is never mentioned in the Strathbungo Society’s records. 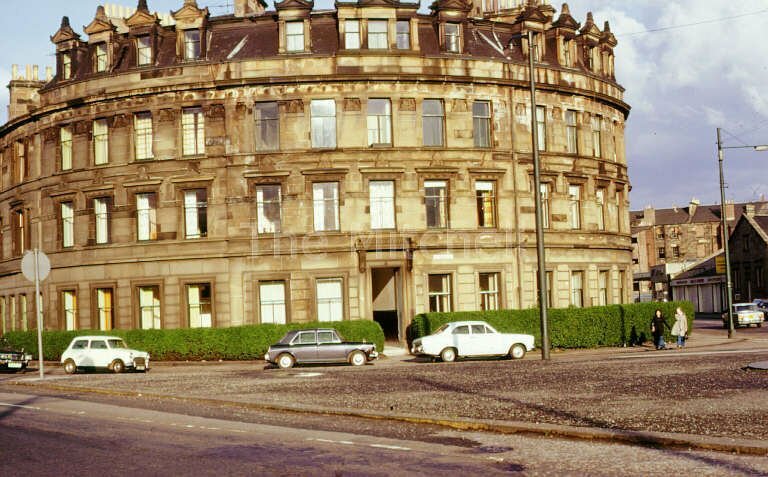 This is the entry proposed by Frederick Selby, an architect on the staff at Glasgow School of Art, who lived at 48 Queen Square. There is a fascinating biography of him on the GSA website, along with their own full set of copies of his entry. There have since been a variety of suggestions for a monument on the roundabout, but so far to no avail. What would you suggest? It will be Thomson’s 150th anniversary in 2025. Just saying. The fountain was a compact cast iron beast with 4 water troughs at quite high level: the stone base was two tiers high and stepped so you had to stand on the upper level if you were small. It was also great for swinging on since it was beside an eastbound trolleybus stop (108). I know this since I fell off it one lunchtime and never made it to school, having grazed my forehead and having to get a tetanus injection. There was a central column which once held a light I reckon but this had disappeared some time ago. Not a pretty object and painted Corpy Green if I remember. Fred Selby’s Thomson Memorial would have been much better. Too late to build it?